The Embassy of Sweden in Israel is about to launch a special Youtube channel in memory of Raoul Wallenberg, a Righteous among the Nations. The channel will be launched at a special event which will take place in the Residence of the Ambassador of Sweden in Herzliyya Pituah, on the 17th of January; the date of Wallenberg’s disappearance. One of the main goals of the project is to perpetuate the memory and works of Raoul Wallenberg, to spread to a broad audience the stories of the people who were saved thanks to him; to remember, and preserve the stories for generations to come. At this stage, four videos will be uploaded to the channel that tell the stories of persons who survived the Holocaust thanks to Wallenberg’s actions. They tell their personal story to the camera, describe how they survived the Holocaust and reveal how they were saved by Wallenberg. At a later stage, the Embassy of Sweden in Israel would like to develop this project and they would like to meet with more Holocaust survivors who were saved by Wallenberg. 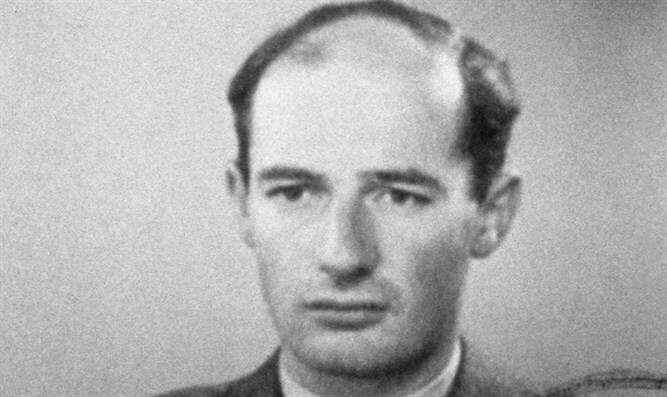 Raoul Wallenberg was a Swedish diplomat who served in Budapest during the Second World War, and who helped tens of thousands of Jews to escape Nazi-occupied Hungary. He took several measures to rescue Jews: the Swedish Government had issued “Schutzpasses” and he gave them to thousands of Jews, he established protected “Swedish houses” that served as safe havens for Jews, he put pressure on Nazi and Hungarian officials to stop the deportation trains to Auschwitz, and he also confronted men of the SS and stopped expulsions of Jews with his own body. At the end of 2016, the Swedish Tax Authority declared Raoul Wallenberg deceased after having been missing for 71 years. The Ambassador of Sweden to Israel, Carl Magnus Nesser, said: “The story of Raoul Wallenberg illustrates the strong bond between the Swedish people and the Jewish people. On the day which marks his disappearance, we decided to organize an event in his memory, for a person who did so much to rescue Jews. We also decided to launch a special YouTube-channel in his memory, in order to preserve his legacy and to hear more about how these persons survived thanks to Wallenberg, who has been given the title “Righteous among the Nations”. The testimonies that the survivors share in front of the camera are moving and touch the heart of all of us. We hope that more Jews who survived the Holocaust thanks to Raoul Wallenberg will get in touch with us and tell their unique stories".